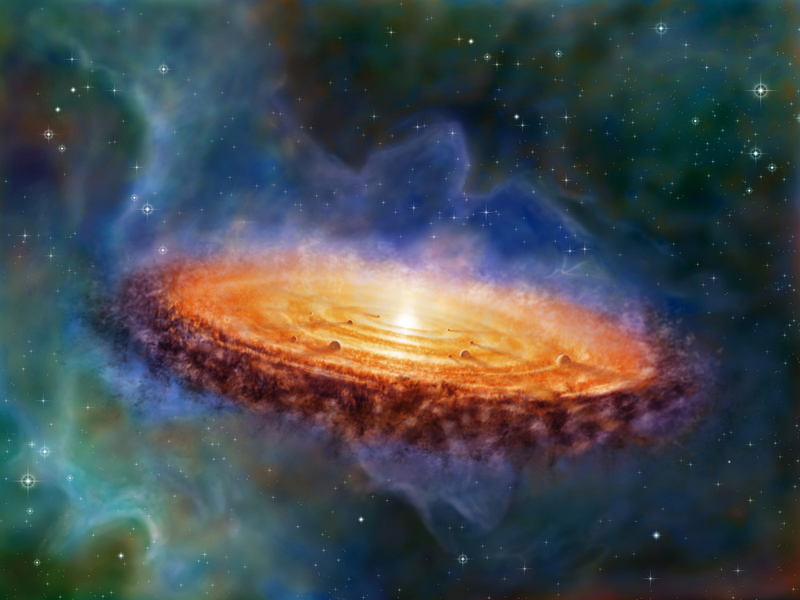 "The dust disk of our emerging solar system, the protoplanetary disk. It was a rotating circumstellar disk of gas and dust surrounding the newly formed sun, 4.6 billion years ago! This digital painting is the work for a client. I did it entirely in PhotoshopCS. Dimension: 10000 x 7500 px, 300 dpi. I know, it is really very large, but my client ordered it in such a way."